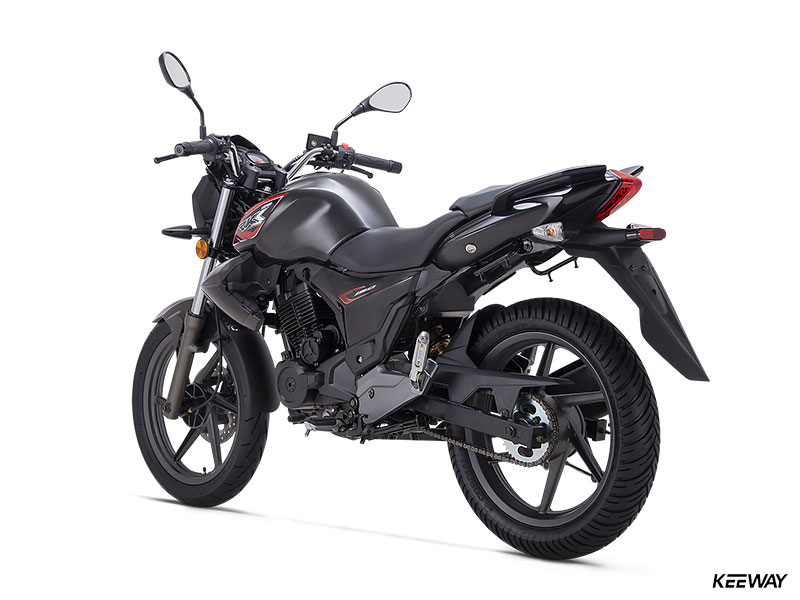 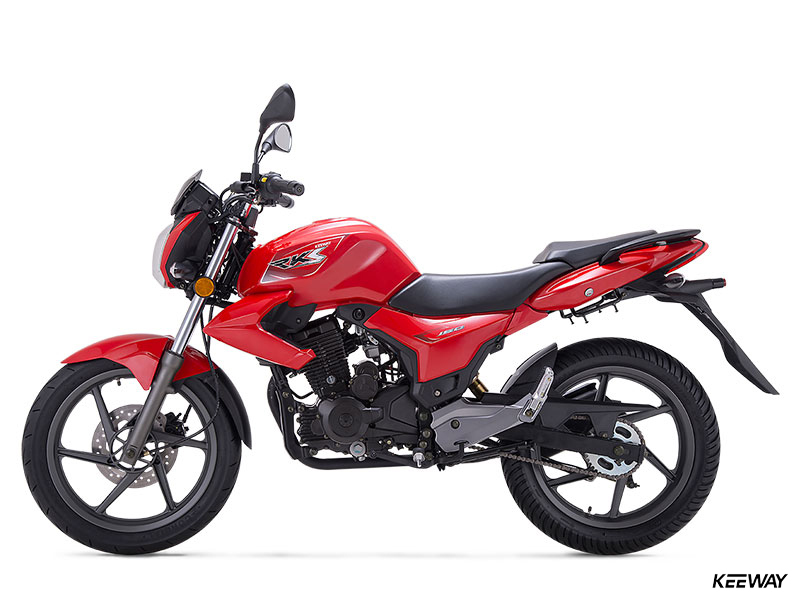 RKS 150 - Keeway Q.J. A high handlebar and a sit-up riding position with plenty of seat-to-peg distance ensures all-day comfort, while a plush saddle and rubber-covered pegs keep vibes away. 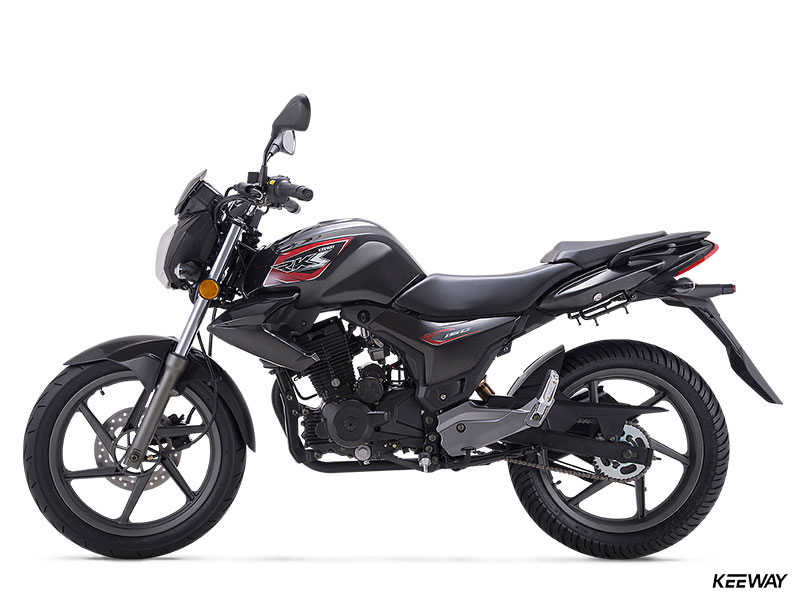 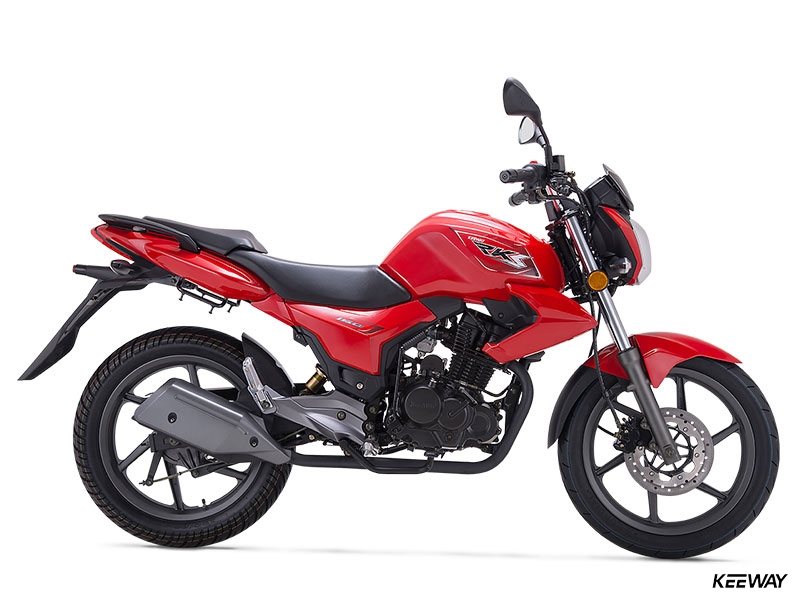 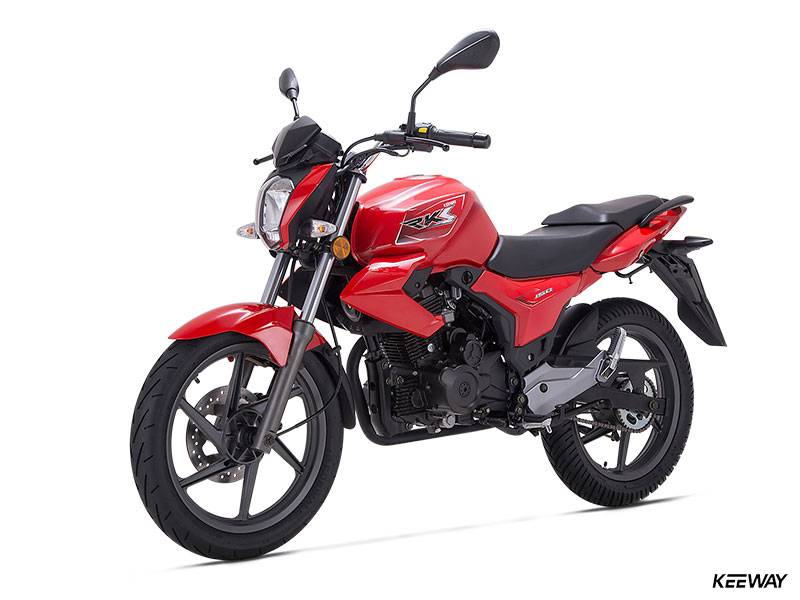 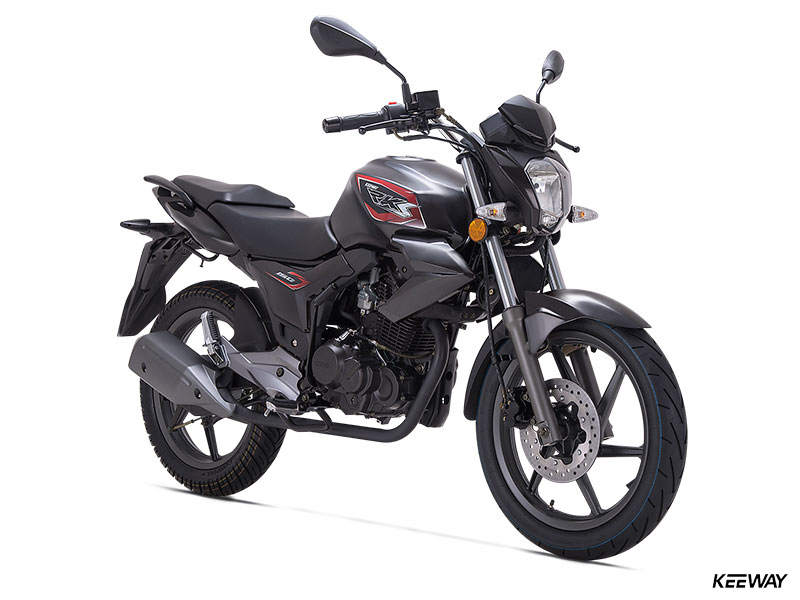 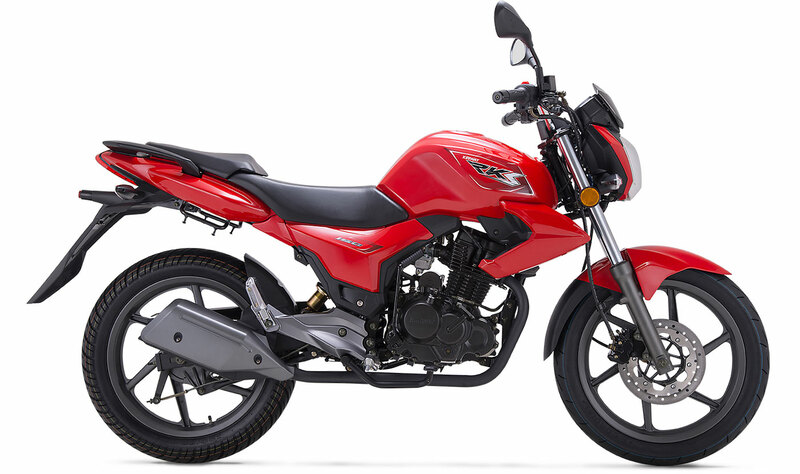 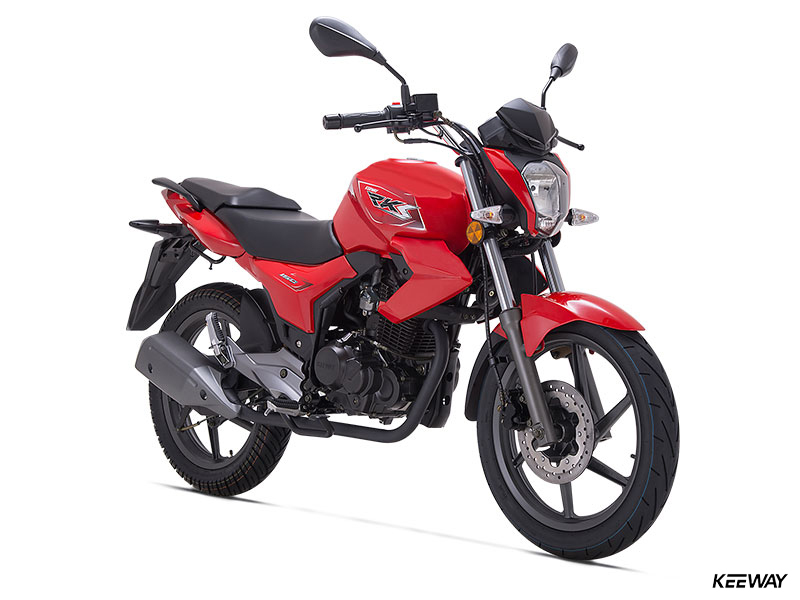 The RKS 150 Sport’s air-cooled, 149cc SOHC four-stroke engine is durable and pumps out plenty of easy-to-use power – just the thing for veterans and beginners alike. 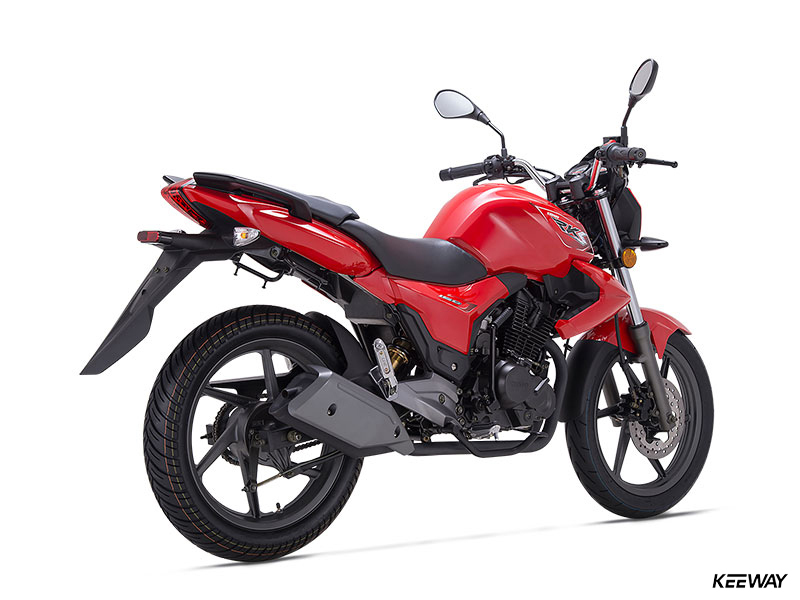 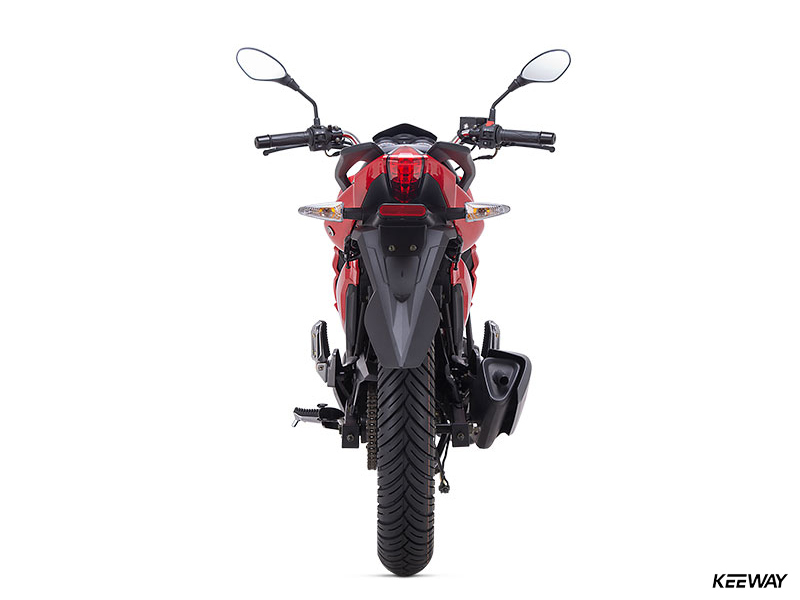 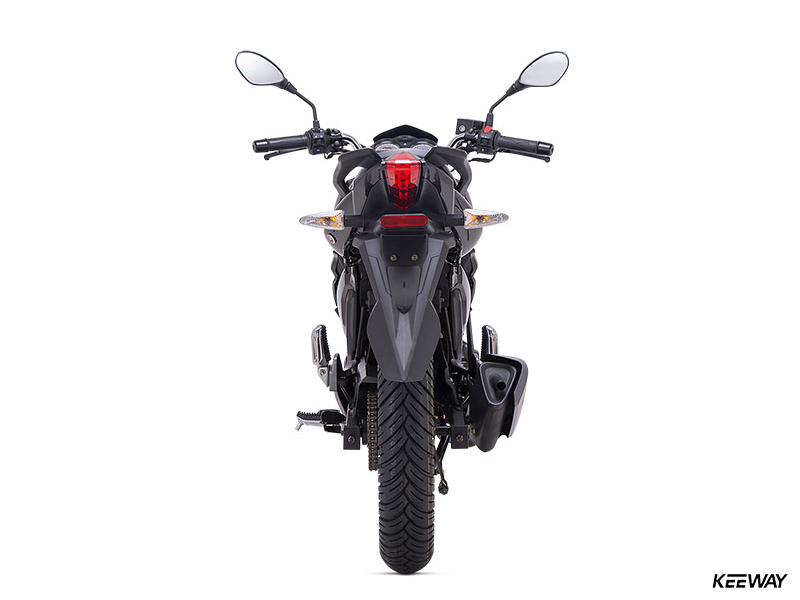 Modern, sporty and aerodynamic body parts – fuel tank, fenders, tail section and side panels – give the RKS 150 Sport the look of a full-sized naked bike. 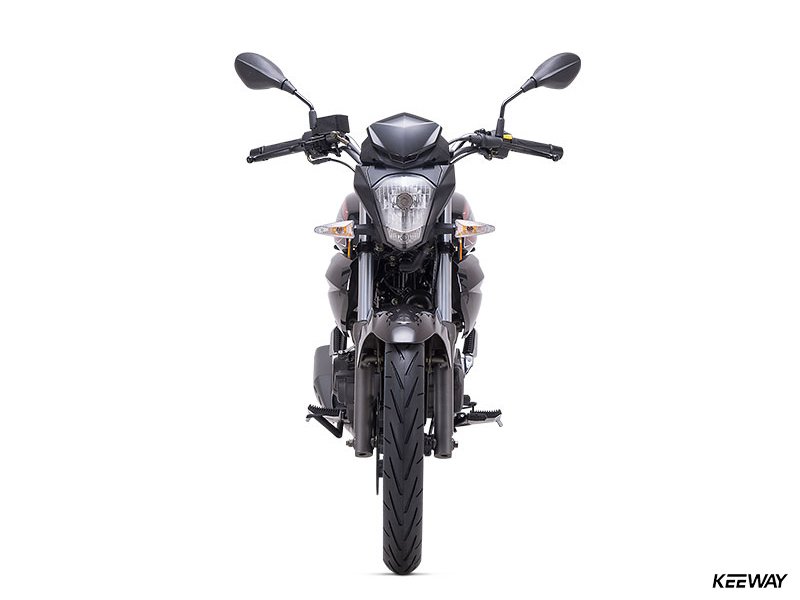 So you know you’re looking good! 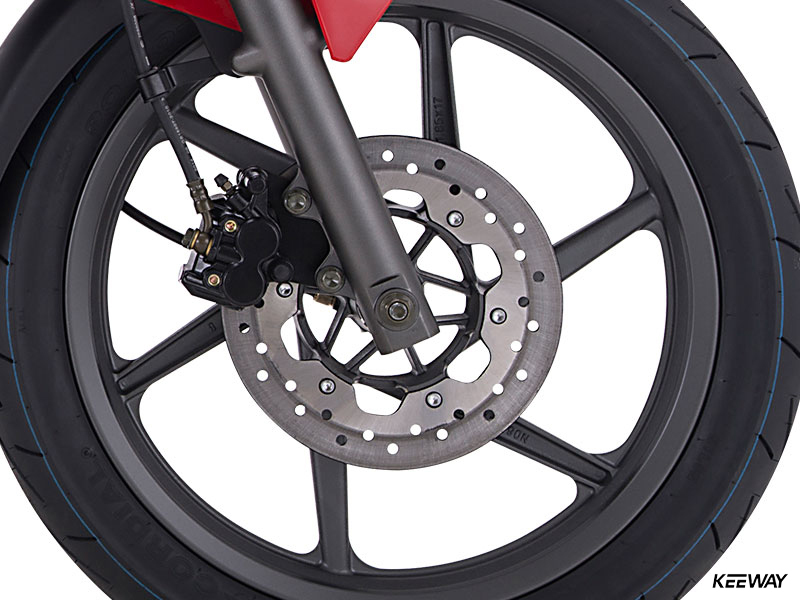 Lightweight and strong 17-inch cast alloy wheels are fitted to both ends of the RKS 150 Sport, while single disc (f) and drum brakes (r) ensure powerful, controllable stops.